tep by Step Learning Centre has a challenging and inspiring mission to improve and enrich its students’ academic prospects through targeted, focused and personalised tutoring. 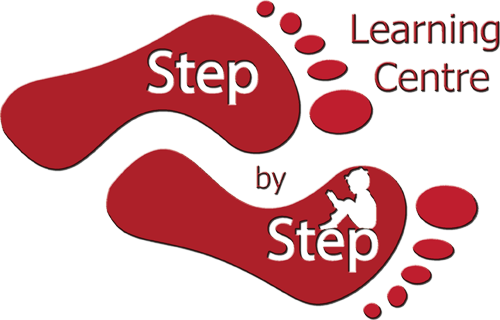 At Step By Step Learning Centre we believe that children need a formidable foundation in literacy, numeracy and science to help them excel in other areas of their lives. It is also our firm belief that all young children have academic abilities and therefore we provide the right opportunities for them to apply their knowledge. We personalise learning so that every child is given the opportunity to reach their full potential. We understand that a child’s ability can blossom with the right support and encouragement. We exist to enforce teaching and learning that is given in KS1, 2, 3 and 4. Our unique understanding of the national curriculum for schools is the driving force behind our success. e use materials of well-known publishers such as; Folens, Nelson Thornes, GL Assessment, Nfer Nelson, Bond, Collins, Consdale, Cgp etc to support teaching from the National Numeracy, Literacy and Science Curriculum and to reinforce problem solving and reasoning skills. Students sit exams at the Centre under normal examination conditions. We prepare them for their public exams and develop them to acquire coping strategies under stressful exam conditions. Our targeted tutoring has helped many children gain admission into Grammar and other Selective Schools and many more have boosted their National Curriculum levels as well as making notable improvements in their respective classes. We have mentored many students and liaised with countless number of parents, offering free advice on choice of subjects or schools for their children. Furthermore we have provided many one to one free sessions for parents who want to understand the national curriculum leveling and their implications on their children’s future academic life.